Head to Blackpool Tower even if you don't have a head for heights. The must see destination attraction for your family. 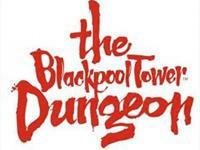 From the darkest depths of the Blackpool Tower Dungeon to the magnificent heights of Blackpool Tower Eye- Let your imagination run free, creating new memories that will last a lifetime. Housing the most spectacular Ballroom in the World the Tower has dancing every day. Have a whirl yourself or relax in the tearoom and watch others glide by. Step inside the famous world of celebrity and fame surrounded by your favourite stars in the UK's only MAdame Tussauds outside of London. Your fun VIP journey into the world of celebrity will take you through amazing interactive sets from TV, music, film, sport and comedy as you rub shoulders with the famous names including Cheryl Cole, Keith Lemon, Alan Carr and many more. Why not take the ultimate journey through 1000 years of Lancashire's history. There are a host of 'rascals' waiting to meet you and take on a journey to remember. There are 10 live shows and 70 minutes of laughter, jokes, thrills and entertainment, fun for all the family, well, those who dare! Check out this seasons circus. Great fun for all the family, even adults who don't take children with them have a super time! 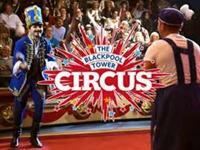 Monkey the Clown and Mr Booo will entertain you with hilarious antics in the Blackpool Tower Circus. Stunningly set within the ornately decorated tower legs. Watch in awe as the circus ring fills up with 42,000 gallons of water for the amazing finale!!! Immerse yourself here at Blackpool SEALIFE and discover the beauty of sharks, their threats, why they are so misunderstood and how you can help them. Get up close with Nurse Sharks circling in front of you, the Black Tip Reef Shark gliding by and the inquisitive Brown Sharks eerily eyeing you whilst our playful Guitar Bowmouth Shark will swim over you. 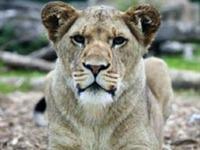 From Aardvarks to Zebras, we have all your favourite animals living in 32 acres of stunning parkland. See our gentle giants from across the globe, from magnificent elephants and camels, to graceful giraffes. New for 2013 !! Our orange tans are on holiday, but must return to their five new homes next summer. Go behind the scenes with our amazing animal experiences. 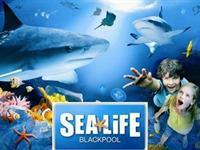 Feed the tiger, train the seal ions, tickle a tapir or even become a keeper for the day!! The UK's largest indoor Water Park. Enter the temple of Aztec Falls and be prepared to drop into a steep, dark chute followed by an electrifying chasm and then descend into a corkscrew exit! Hold your mat tight as you zoom head first down Montazooma's 360 degree loops and back to back turns! The Masterblaster is the world's longest indoor rollercoaster waterslide- Ride it to believe it! The Sindwinder is the first ever indoor vertical drop slide. Get ready to experience zero gravity! 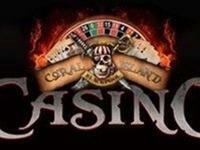 No membership is required at the brand new Coral Island Casino located on Central Drive Blackpool. 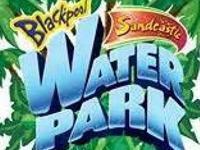 Offering a wide range of both live and automated casino games plus the very latest £4000 Jackpot Machines and Blackpool's only Party Auto Roulette table. The Casino Bar serves a full selection of hot and cold drinks and food and shows all the latest sporting events on our widescreen TVs. 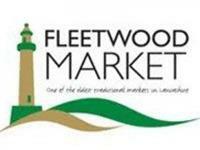 Open 4 days a week, all year round.